Strictly speaking this isn’t last night’s dinner. 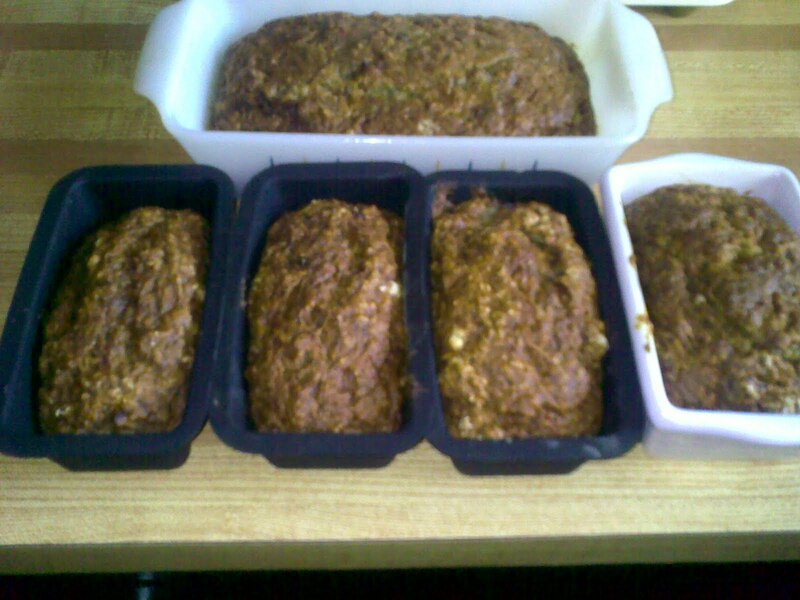 This is a nice collection of banana breads that I made the other day. You see, I knew the week would be crazy and it has turned out to be just that. We’re having the roof done (feeding the roofers), Stephen had his eyes lasered (I have two babies to take care of right now), three birthdays, a work project that I am still doing on my mat leave (I’m not very smart), I’m planning my mom’s 70th. with my sister…, OH!-and I have a small baby that needs all my attention at all times (as it should be). I thought that I would actually have lots of free time when I was on my maternity leave. I wasn’t very aware of what this whole baby thing entailed. There are all of my excuses for not writing much this week. Here is a great recipe for weeks that are crazy but you want to eat something decent on the run. 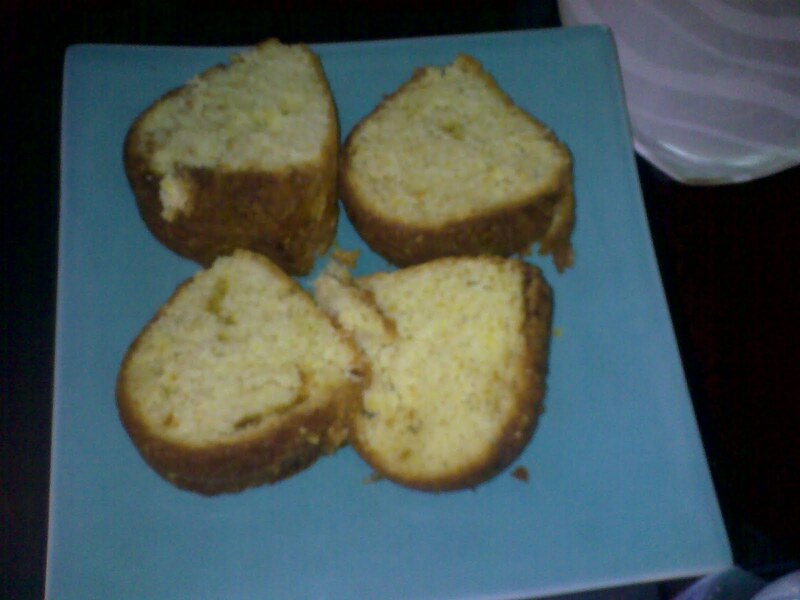 Pour into a loaf pan or muffin cases or a cake pan and bake (350) until a knife comes out clean. I like to double this recipe for really nutty weeks. If it is a little dry (depends on the banana) add a bit of water. I’m out all day again with the baboo and will be both hungry and tired when I get home. Isn’t that the case for most of us? Marinated lamb chops with green beans. Last night I grabbed some lamb chops out of the freezer and put them in a covered glass container. Over the top of them I added rosemary (1 T.), garlic (2 cloves), 1/4 cup balsamic vinegar and 1/4 cup olive oil. Tonight I’ll just grill them on a grill pan (stove top) and serve with some lightly steamed green beans that have been drizzled with a bit of sesame oil and soy sauce.